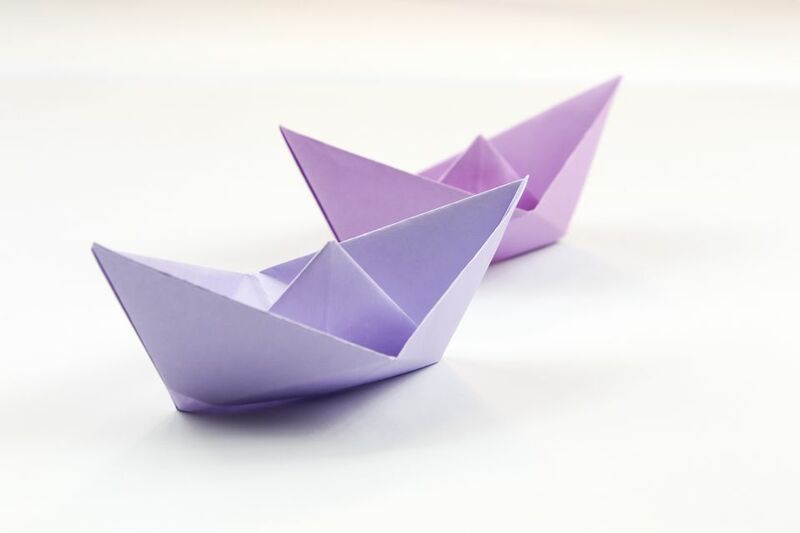 Learn how to make the most well-known origami boat with this quick and easy step-by-step tutorial. This origami boat can also float in water. This origami boat is a great model to teach kids. It is similar to the origami hat that you make with newspaper. Also, origami can be a great math-related activity for kids as your child creates using geometry. For this origami boat, you need a rectangular sheet of paper. You can use regular white printer paper, letter paper, or any other size, just as long as it is rectangular. Origami comes from the Japanese. The word means the art of folding paper. "Ori" means "folding," and kami means "paper." In modern usage, the word "origami" is used as an inclusive term for all folding practices. The goal is to transform a flat square sheet of paper into a finished sculpture through folding and sculpting techniques. Start with your rectangular paper, orient it vertically, with the long edges going up and down. Fold the bottom half up to the top. Fold the bottom right corner over to the left corner and make a small pinch, just enough to crease the paper. Open it back up. Using the crease as a guide, fold the left and right bottom corners up and to the middle. Flatten the folded pieces down. Fold one layer from the bottom up along the bottom of the front flaps. Fold the bottom edge up in the same way. Unfold, and then fold the bottom right corner in along the crease you made. Repeat on the bottom left flap. Re-fold the bottom edge back up. Open the bottom of the model. Look at the corners. Flatten and then insert the overlapping flap on the left underneath the right section. Fold one layer up to the top. Pull apart the left and right flaps. Open it slightly. The triangle in the middle resembles a sail. And, you're done. You may want to shape the underside of the boat so that it can stand up.